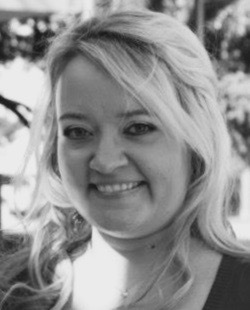 Jennifer began training in classical ballet at age 3 and has studied all over the state of Texas. A majority of her years were spent at Tyler Civic Ballet under the direction of Helen Chambers and Paula Sansom. While the role of Clara in The Nutcracker was Jennifer’s favorite, she also enjoyed dancing in classical ballets such as Coppelia, Les Sylphide, Swan Lake, Giselle and Sleeping Beauty. Jennifer studied with world renown teachers at summer intensives with The International Ballet School, Ballet Magnificat and Dallas Ballet Centre. Some of her more memorial instructors include David Howard, Patricia Thomlinson, Anne Burton Avery, and Kathy Tibbedeaux. with choreographers Arleen Sugano, Osiris Wade, and Sandy Combest. Jennifer also danced in many senior choreography works and was honored to show her own work at the 2004 American College Dance Festival. She spent two years as the president of the dance Honor’s fraternity, Chi Tau Epsilon, and was voted honor student of the year by the dance faculty and chair in 2004. After college, Jennifer followed in her mother’s shoes and began teaching in North Texas. Over several years she was proud to lead competition routines to many Best in Show, Best Staging and other accolades at local dance competitions. Jennifer also has several students representing her in prestigious dance programs with major universities as well as students performing professionally across the country and have been seen on the TV hit show So You Think You Can Dance. Recently moving to Celina with her husband and two small children, she is very excited share her passion of all that is ballet with the students at International Conservatory of Performing Arts!